Please note. Work by Sophie Gerrard, Sarah Amy Fishlock and Jeremy Sutton Hibbert will be coming off the walls on Friday 9th March. The exhibition will then close at 3pm on Saturday 10th March. The Whitehouse Gallery opens 2018 with a rather special exhibition featuring some well established photographic artists from the region and beyond. The exhibition will feature documentary and landscape work on the subject of Scotland. The exhibition preview opening is on Saturday 10 February, doors will open at 11am and all are welcome to attend for drinks and nibbles. The work is broadly split into the two complimentary disciplines of documentary and landscape. We will see the people of Scotland and the environment that has shaped them. We are thrilled to be exhibiting work by four members of the Document Scotland Collective; Sophie Gerrard, Sarah Amy Fishlock, Jeremy Sutton-Hibbert and Colin McPherson. Sophie Gerrard (Scottish, b.1978) is an award winning photographer specialising in contemporary documentary stories with environmental and social themes. Sophie began her career in environmental sciences before studying photography at Edinburgh College of Art followed by an MA in Photojournalism and Documentary Photography at London College of Communication. Sophie’s editorial and long term personal work has been published widely by clients including The Guardian, The Telegraph Magazine, FT Magazine, The independent on Sunday Magazine, Esquire Magazine, Foto8, The British Journal of Photography, Portfolio Magazine, Scotland on Sunday, Lucky Peach, Le Monde and many others. Born in Glasgow, Sarah Amy Fishlock graduated from the Glasgow School of Art in 2011 with an MA in Visual Communication. Working with photography, found images and publications, her work explores the relationship between the individual and wider social, historical and political realities. Artist in Residence at Glasgow’s Citizens Theatre between 2013-14, and since 2013 has been editor of Glasgow based photography zine Goose Flesh. Selected for a Magenta Foundation Flash Forward Award in 2016, shortlisted for the 2015 Magnum Graduate Award and finalist in 2014 Magnum/ Ideastap Photographic Award. Sarah’s work has been featured by Foto8, the Independent on Sunday, BBC News in Pictures, The Guardian and Der Grief, and exhibited internationally at venues including Scottish Parliament, the British Council Gallery (Delhi), Landskrona Foto Festival (Sweden), the Consul’Art (Marseille) and V&A London. Jeremy Sutton-Hibbert grew up in Scotland, where on his 13th birthday he received the gift of a camera. A few years later he subsequently became a freelance photographer for editorial, corporate and NGO clients. His work has appeared in magazines such as Time, National Geographic, Italian Geo, Le Figaro, The Guardian, The Sunday Times, and many others. For over a decade Jeremy has been one of the principal photographers for Greenpeace International, and his assignment work for editorial and corporate clients has taken him to over 80 countries. His personal and commissioned work, for which he has been the recipient of photojournalism awards, has been widely published and exhibited in Europe, Asia and USA. Born in Edinburgh, Colin McPherson has been photographing in Scotland and abroad for more than a quarter of a century. He undertakes long-term projects alongside commissions and assignments for a number of newspapers and magazines and is represented by Getty Images. Colin’s work is published internationally and held in archives and collections such as the Scottish national photographic archive and the University of St. Andrews University Special Collections. 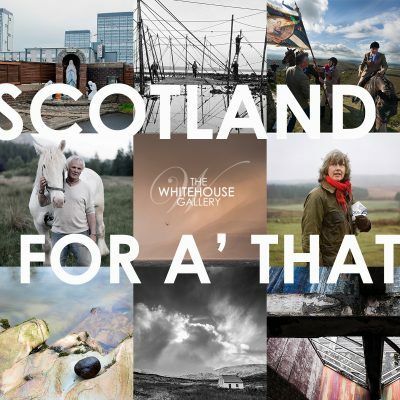 His photography has been featured in more than 30 solo and group exhibitions and his major Document Scotland projects include A Fine Line, The Fall and Rise of Ravenscraig and When Saturday Comes, the last of which was his contribution to the collective’s 2015-16 exhibition at the Scottish National Portrait Gallery entitled The Ties That Bind. Ann M Holmes is another award winning fine art and landscape photographer. Based in Hebden Bridge, Ann explores the length and breadth of the country, and has spent much time in Scotland and its islands. She enjoys exploring some of the UKs most remote coastal locations, which by their very geography, attract the most inclement of weathers and dramatic light. The aim in her land and seascape work is to capture something of the sublime emotional response felt at the time that the shutter was deployed and working from before dawn through to darkness itself she believes is necessary to produce photographs with the maximum impact. Phil McMenemy is an award winning photographic artist based in Laurieston, Galloway. Phil creates images based in the natural world, and highlights the fine art potential of Scotland in general, and in the region of SW Scotland specifically. His work is often abstract and concerned with movement, light, energy and flow, capturing the moods and vagaries of Galloway, being drawn to form, pattern, structure and shape in the landscape. Phil runs ‘The Gallery in Laurieston’, and has exhibited in various galleries including ‘The Biscuit Factory’ in Newcastle, and has collaborated with some interesting local artists and makers over the years. Leeming & Paterson are well established fine art photographers, based in SW Scotland. Working collaboratively as well as individuals, Ted Leeming and Morag Paterson’s work takes them around the world, with the focus on engaging the viewer to understand and appreciate the absolute beauty of our planet and why we should seek to protect it. This exhibition features images from their ‘Polphail’ project, taken at the Polphail ‘ghost village’ in the untouched wilds of the Argyll coast. These images show the site as forlorn and eerie, yet beautiful in its transformed, derelict state. Kirkcudbright based photographer Giles Atkinson is well established in the region as a wedding photographer, but this exhibition offers an insight into a very different world. Giles’ passion for the great outdoors. Staying in bothies allows him to enjoy explore the Scottish wilderness for longer, and has resulted in a series of photos depicting his experiences. Giles aims to capture the atmosphere of the hills and bothy life, as well as celebrate the beauty of his surroundings. David Moses is a street and travel photographer based in Newton Stewart. He likes to work on long form projects. Recent exhibits include Shambellie House, The Workshop Gallery, Out of The Blue (touring exhibit) and Unit 3 Gallery. Commercial clients include Baxters, The Scottish Government, Dumfries & Galloway Council, Zion Arts, Why Not Associates, The Sunday Express, Kavli Group, St Helen’s Farm, Dumfries & Galloway Life, 999 Design, The Co-Op, Castillium, Environmental Arts Festival, The APS Group and more.